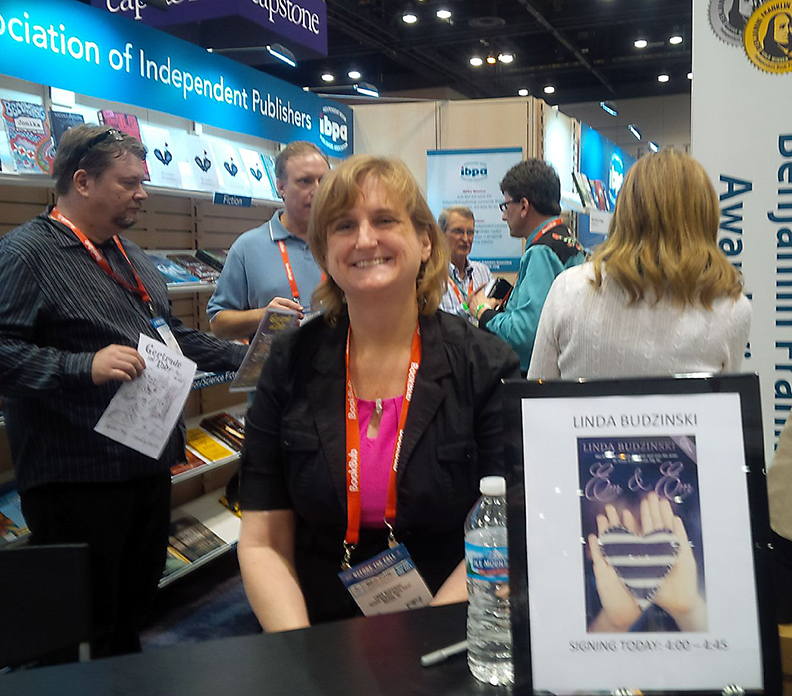 Had a fantastic time this week at Book Expo America in Chicago! Met lots of amazing librarians, teachers, and bloggers who also happen to love young adult romance! I was there to sign copies of EM & EM, and I have to say, I was slightly terrified that no one would come to the booth to meet me. I mean, there are so many amazing authors in the hall … surely people would have better things to do. I showed up for my signing with my purple Sharpie and some awesome swag in hand … and I’m happy to say, we had so many folks stop by that we ran out of EM & EM after the first half hour! 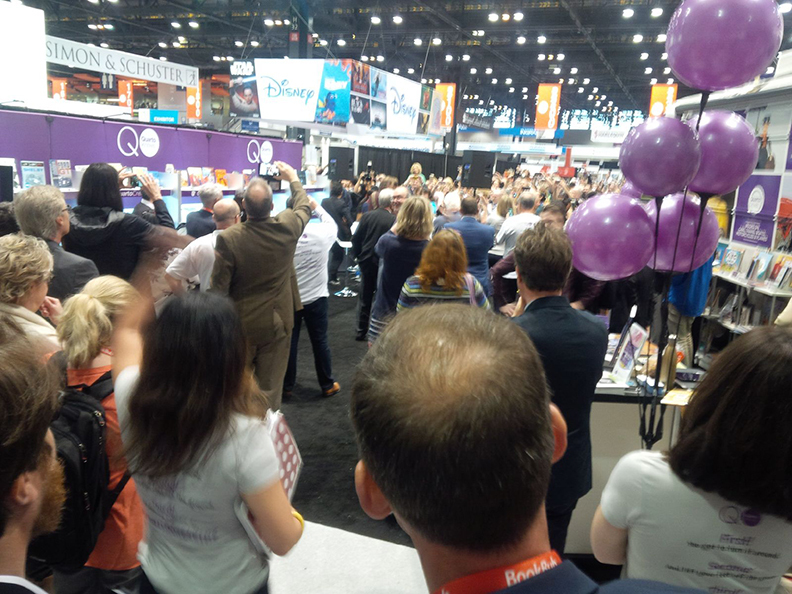 Check out this crowd in the hall (no, THAT’S not my line … though that would have been cool!)! Join Me for a Night of Romance! Join me and fellow romance novelists Lisa Dyson, Megan Hart, Terri Haynes, and Elisabeth Staab for a Night of Romance, February 12 at 7 p.m. at the Barnes & Noble Potomac Yard in Alexandria, Virginia! Just in time for Valentine’s, discover your next favorite romance novel. Each of us writes a different genre of romance. Lisa writes contemporary adult, Megan writes erotica, Terri writes African-American Christian, Elisabeth writes New Adult, and I of course will be there with EM & EM representing teen romance. Quite a variety, so it should be interesting! The event will include Q&A and speed dating with the authors, as well as book sales and signings. 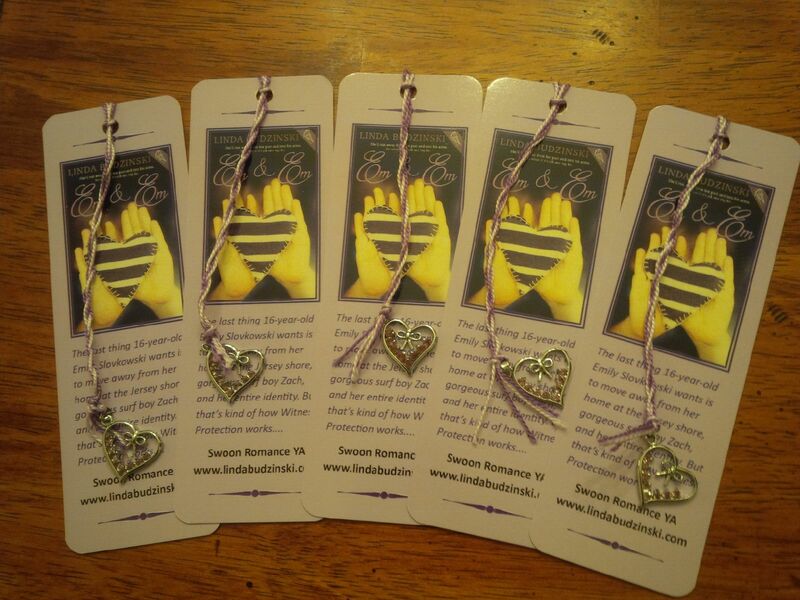 Also, we each have been asked to pick our favorite kissing scenes from our novel and do a reading. Oh la la! There is no cost, and Barnes & Noble is providing refreshments, so if you’re in the area or if you want to treat yourself to a night out in romantic Old Town for Valentine’s weekend, please come by and say hello! UPDATE: A sixth author has been added! Looking forward to meeting and signing with “sassy romance” author Harper Kincaid as well!